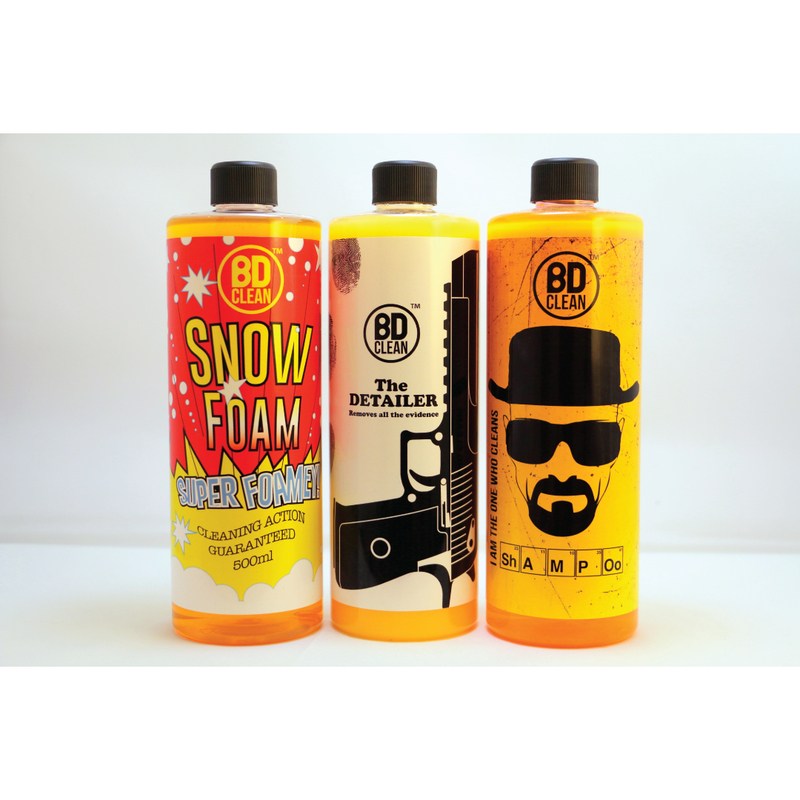 BD Clean Snow Foam is a highly concentrated cleaner that produces rich, long-lasting foam that clings to your car. 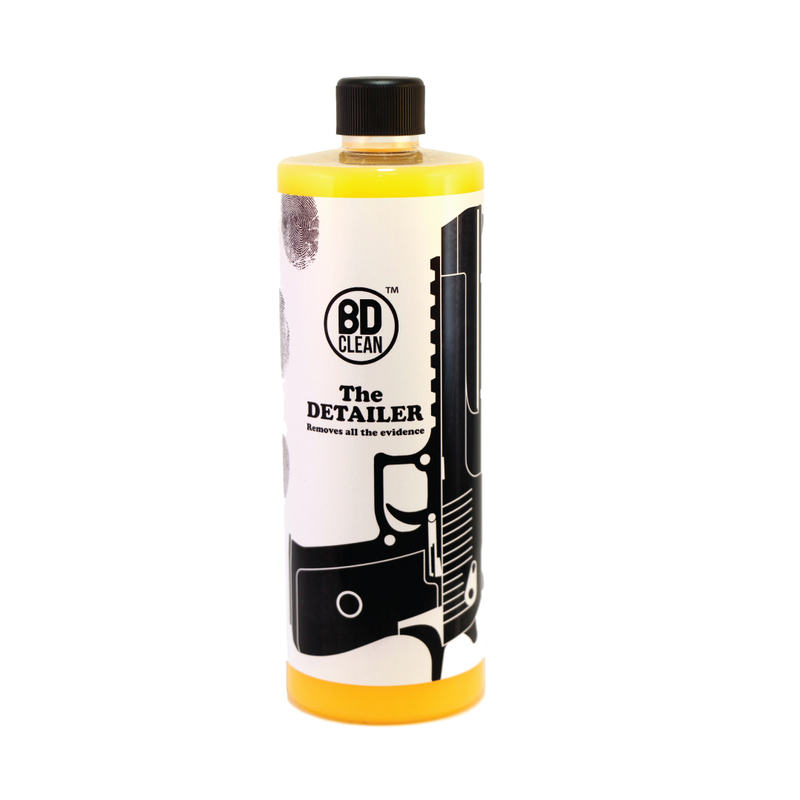 This snow foam helps to break down dirt, grime and stubborn stains such as insects and bird droppings, making the cleaning process much quicker and easier for you, making it the perfect car pre wash solution. 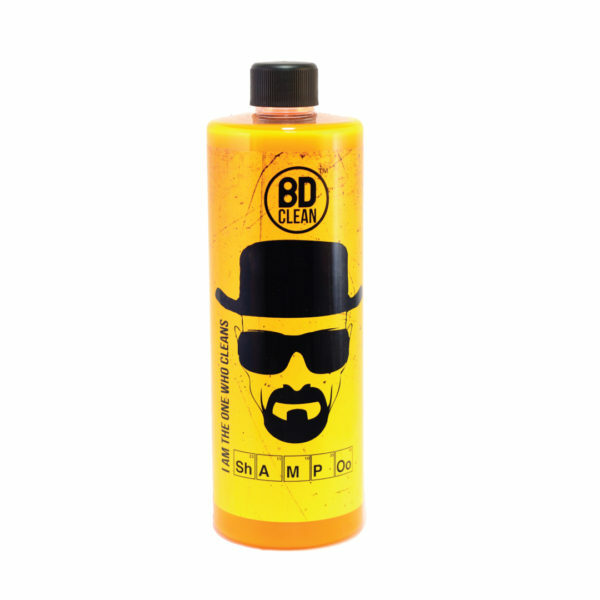 This product is used alongside your pressure washer and snow foam lance, which needs to be set at a 1 to 10 ratio to create a fantastic smelling car pre wash foam solution that is both pH neutral and wax safe. 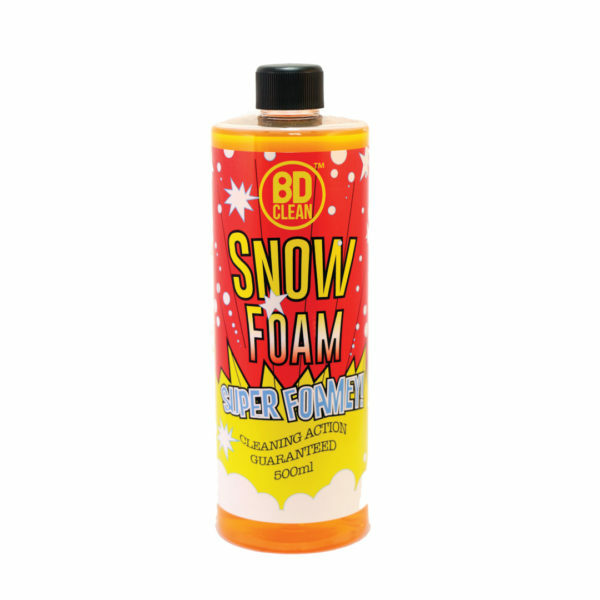 Our snow foam will allow you to remove tough grime and dirt from your vehicle without harming your paint work. 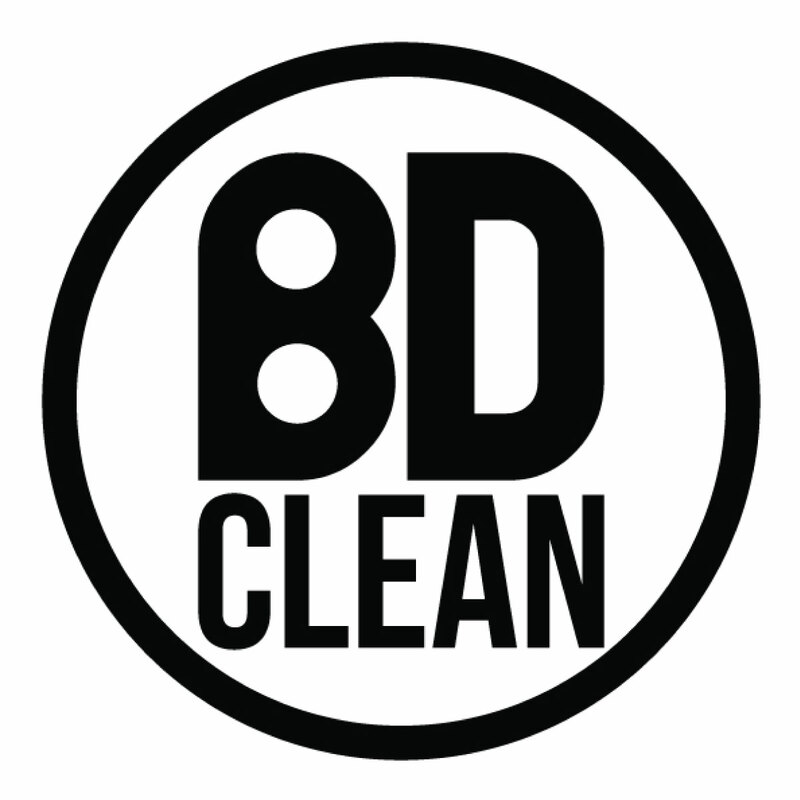 The car pre wash process is perhaps one of the most important parts of the car cleaning process, though most people don’t actually realise why or just how significant it is. 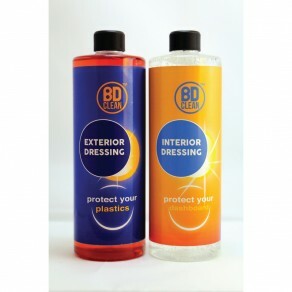 Using wrap cleaning products, the car pre wash process involves ridding the car of all dirt and grime, which includes things like insects, bird droppings and grit, so that there is nothing to get under your cloth or sponge to potentially scratch the paintwork as you begin cleaning the surface. 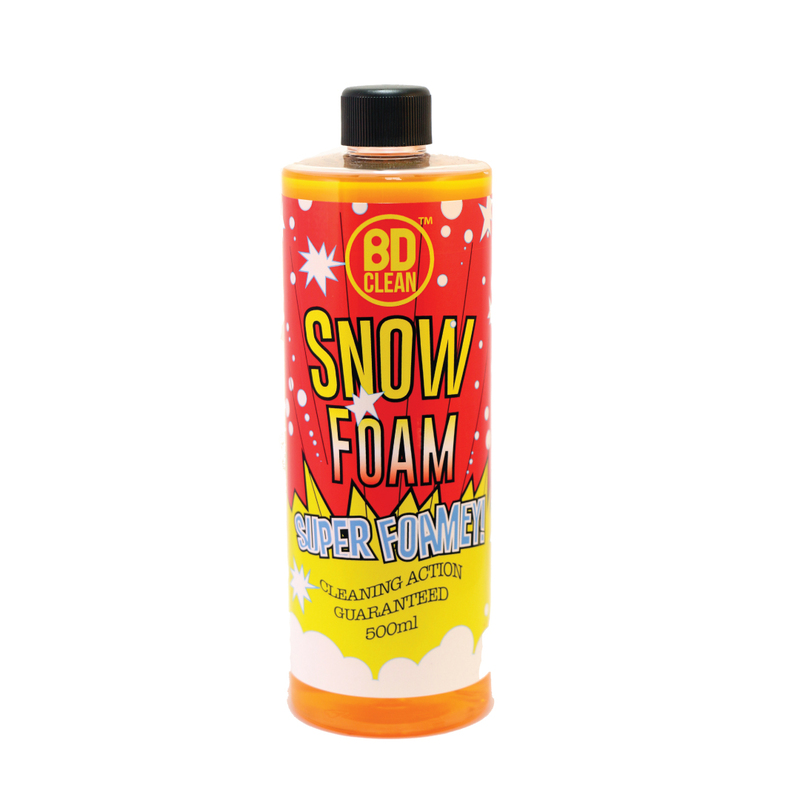 Without a powerful product like snow foam, the car pre wash can be a lengthy process, but using the best snow foam product can make it much quicker, and actually make it much more fun too. The snow foam process is simple and entails covering your car in a foam that breaks down all dirt and contaminants so that it rinses clean easily. For most people the first step will be to rinse the car clean, ridding it of any loose dirt. However, some people prefer not to do this as they believe the snow foam clings better to dry surfaces, allowing the wrap cleaning products to concentrate on breaking down dirt and grime. Gather together all of the equipment you will need, this includes the ultimate snow foam, a snow foam lance to a ratio of 1 to 10 and a pressure washer. Set everything up so it is ready to use. The foam lance and pressure washer together will create a pre wash foam solution that literally overs your entire car in foam. Read the instructions on the side of the product to determine how long you need to leave the foam to set. How dirty your car is will greatly impact this. After the foam has set, simply rinse it away and begin the rest of your cleaning process.